Tekken 3, The big game of the arcades in 1997. During the last three years, the two-dimensional Versus Fighting faces the emergence of younger tri-dimensional competitors. Series like Tekken, Virtua Fighter and Soul Edge now reached considerable successes with the public, either with home systems or arcade. 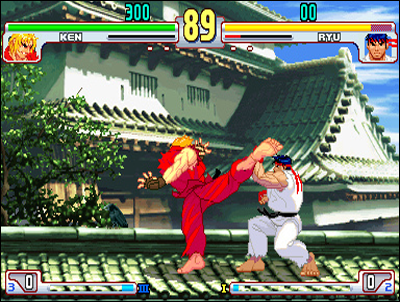 Series like The King of Fighters or Street Fighter are more sophisticated and elitist: in addition, the use of 2D doesn't appeal to the young audience that is moving instinctively onto polygon-based games, popularized by the Playstation. The outcome of the 2d/3d war seems quite predictable, but it remains that the quality of big 2D series has nothing to envy to Tekken and Virtua Fighter, and even less in terms of pure gameplay. Is the two-dimensional genre going to disappear? of Sega Model-2. In 1997, the series became very popular, with a successful adaptation on Saturn and the following year on Playstation. Namco releases Tekken 3, a scathing response to the editor who declared war in the gaming rooms! In the same vein, Tobal No. 1 by Squaresoft on Playstation met some success, as well as Street Fighter Ex (a new version of the Capcom series fusing 3d ),and Midway, who releases a Mortal Kombat 4 totally betraying his ancestors, yielding to the sirens of 3d. The 3d games list is long this year 97, much more consistent than the 2D games list, regarding VS fighting but also many other genres, lowered to fifteen new titles only. The game of fighting has evolved, and it's clear that the popular preference during these years goes to 3d games... When it comes to purists, these guys didn't left their favorite series featuring 2d gameplay, and historical editors such as SNK and Capcom did not mistaken on this. The firms have understood that there are two markets: one general and the other niche. Therefore, our rivals will play both ways and offer something to suit all players. 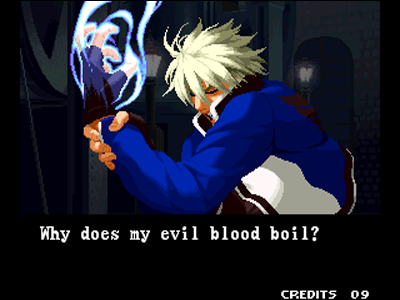 We've seen Capcom made Street Fighter Ex, a new completely rotten game with uninteresting gameplay. The soft yet knew several suites, acclaimed by an audience probably devoid of any trace of good taste. The company makes up the same year with a new saga pretty good, Rival Schools. 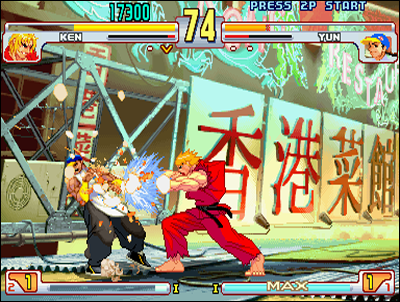 Following the new wave of fighting games, it's made of 3d graphics, but retains 2d gameplay - on one game plane. 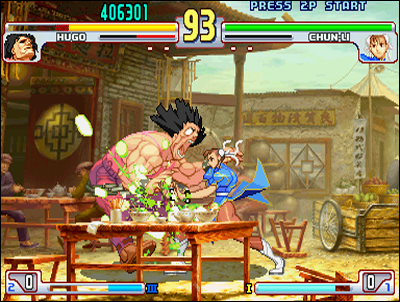 This kind of game will be later named 'VS Fighting 2.5D' (halfway between 2D and 3D). 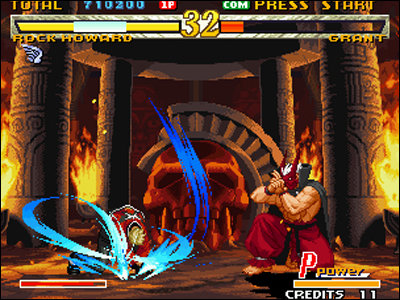 Kof 97 and The Last Blade, only two fighting games this year on Neo Geo. 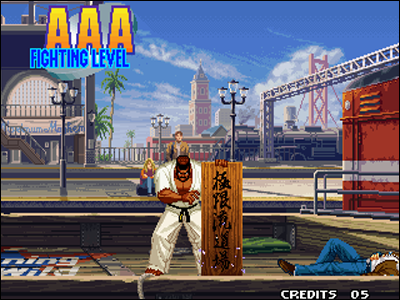 Street Fighter III: New Generation, a real graphic slap! A new genre will develop alongside Versus games as they are known, and it would not have been possible without the 3d: sports simulations. Football, tennis, golf, auto racing... realism could never be total without a powerful 3d and a high level of detail. The 'simulation' therefore knows emergence in the late nineties, and concerning combat, a series makes itself a name and perpetuates over the next decade: Knockout Kings. The first game was released in 1998 on Playstation and will have many great sequels, eventually becoming 'Fight Night' with 128 bits home systems. Realistic boxing simulation, the game strays far from the Versus Fighting as understood by the purists. Sport simulations make their appearance, creating a new parallel genre to VS Fighting. Above, KO Kings (1998) et Fight Night Champion (2011). The end of 1998 will mark the arrival of the Sega Dreamcast. The machine can display insanely beautiful 3d graphics and also manages superbly 2d... what could we ask more? It will be entitled to the finest 2d games of SNK and Capcom, popularizing a young audience with some legendary titles at affordable prices, using the GD-Rom support. The big slaps of the 98 vintage remain in the minds of many players Tekken 3 on the Playstation with its improved roster and more flexible gameplay, but also Soulcalibur, the highly anticipated sequel to Soul Edge. Namco hits hard and imposes permanently its series in the world of fighting games, thanks to a realization and gameplay supplanting competition. The game, an arcade mega-hit, will be adapted "arcade-perfect" way on the Dreamcast. Meanwhile, the first episode of a remarkable series of VS Fighting appears: Guilty Gear, published by Arc System Works. This makes the choice of the 2d on the Sony Playstation for this new saga. The first installment will not meet a great success, but as we will see the editor will persevere. Capcom - faithful to the post - gratifies players a new crossover, which will become the forerunner of a series well known today: Marvel VS Capcom! And that's not all, as the firm also releases two bonus Street Fighter the same year: Street Fighter Zero 3, the latest installment of the 'Zero' series, and Street Fighter III: 2nd Impact, the second episode of its brand new saga. SNK's answer doesn't have players waiting much, with two atomic bombs: The King of Fighters 98', featuring forty-two selectable characters and a deep, incredibly technical gameplay, and The Last Blade 2, another masterpiece improving nicely the first game. Soulcalibur Dreamcast / Arcade: find the differences! Guilty Gear is an awesome game, but it didn't reached its public in 1998. Not only 3d games begin to look really good and feature great technical gameplay, but meanswhile 2D games reach a graphic perfection which we wouldn't even have dreamed of a few years ago. Programmers and designers are now working on overpowered machines, and offer real works of art to the players. Only SNK still uses good old Neo Geo for its games, and the lattest literally exploded the machine limitations, swelling capacity far beyond the rom theoretical limits, as for example Kof 98 weighing not less than 683 mega (far away from the 330 max. anounced), and way much heavier than Capcom's CPS-III titles. It is clear that the publisher is facing its competitors with an unabashed success, with a ten-years old arcade system... But the future is bleak for the company, who will pay dearly for the commercial failure of the Hyper Neo Geo 64. 1999. At the end of this century, the Versus Fighting seems completely at the dusk of its life. The real 2d games now pretty few in the list of novelties, and the genre became so diverse through the 3d, that we are entitled to a great diversity of games - to the detriment of purists' pleasure. Thus, Midway restarts on a brand new game concept with Ready 2 Rumble: title mixing boxing, as we can see in the Knockout Kings series, with fun special effects and an arcade gameplay. The app is published on most home systems and quickly became a bestseller. Another new original title coming from Nintendo this time, with which players will discover a new concept of fighting through Super Smash Bros. It features celebrities such as Zelda, Mario, Donkey Kong or even Fox from Starfox, in battles happening in platform stages. You can play four simultaneously, the gameplay is 2d and graphics 3d, with many bonuses to collect through the levels. Capcom uses most of these mechanisms for its Power Stone, which is released the same year for arcades and Dreamcast, but becomes infatuated with 3D gameplay. Super Smash Bros and Power Stone, a new pretty fun way of fighting! 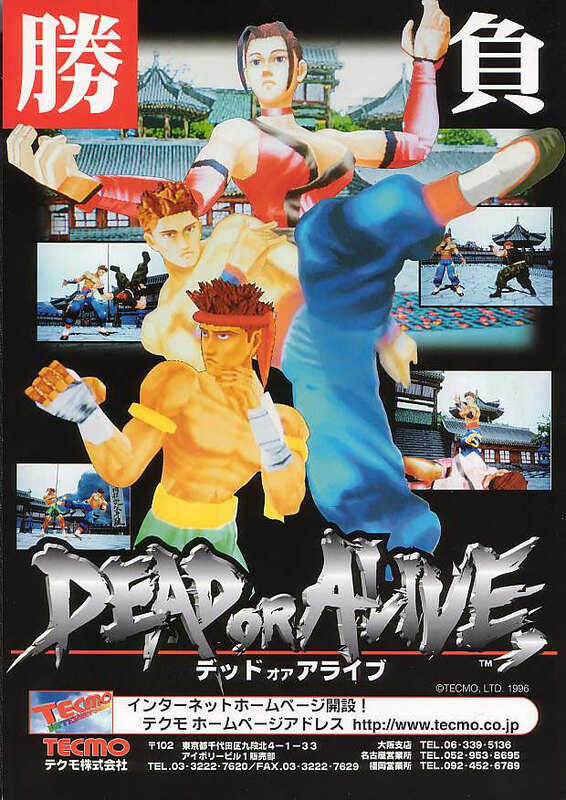 Dead or Alive 2 was highly anticipated and did not disappoint the fans. Programmed on the overpowered Naomi, the game features a roster of twelve characters, as well as graphics and animation worthy of the sublime Soulcalibur. Dreamcast, like the latter, receives once again an "arcade-perfect" adaptation. 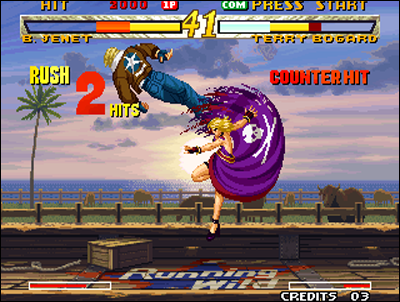 Sega console is also provided SNK and Capcom series with games such as Marvel Super Heroes, Street Fighter III and King of Fighters 98, celebrating 2D. Tekken Tag Tournament was released for the arcade and will be ported later exclusively on Playstation 2, due to a contract with Sony. 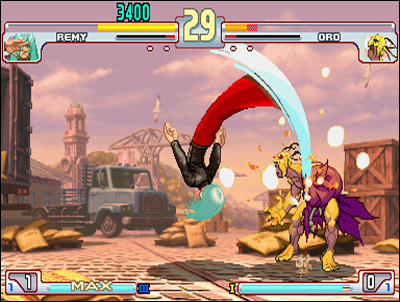 SNK does not neglect the Neo Geo, and players rave about The King of Fighters 99. The gameplay gets a makeover by inaugurating a Strikers system: an additional fighter can occur during combat. 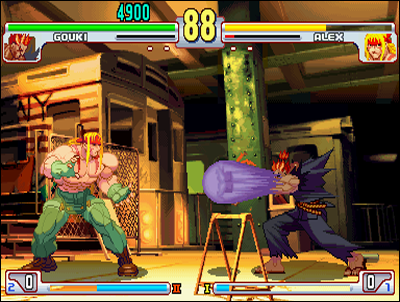 But the master stroke of the editor this year is undoubtedly Garou: Mark of the Wolves. 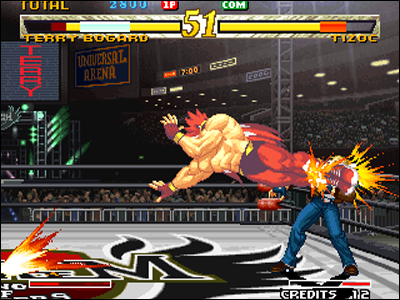 The game is the last episode of Fatal Fury, and this one will be remembered as one of the finest SNK realizations, with an unique atmosphere and a marvelous technical gameplay. One of the most memorable games in the history of VS Fighting. 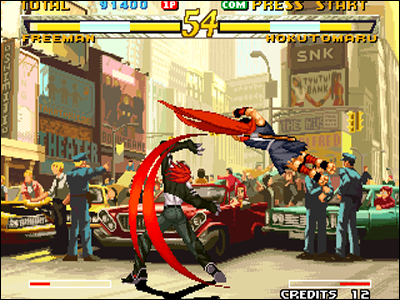 Garou still stands as a jewel of VS Fighting, made by SNK. 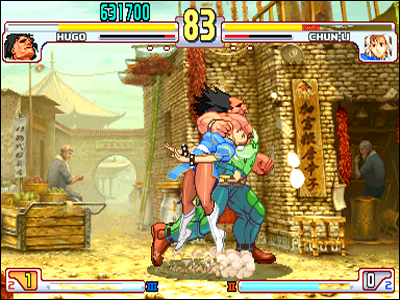 Street Fighter III 3rd Strike: Capcom at its best! 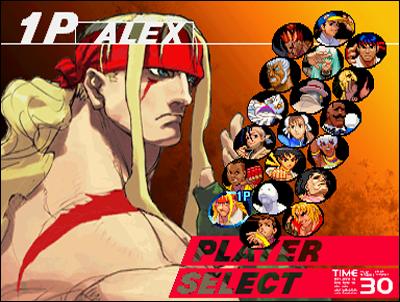 Not surprisingly, Capcom has not stood arms crossed during this... despite the presence of the editor on many fronts, the company still has the resource to make the lattest installment of SFIII: Street Fighter III 3rd Strike. 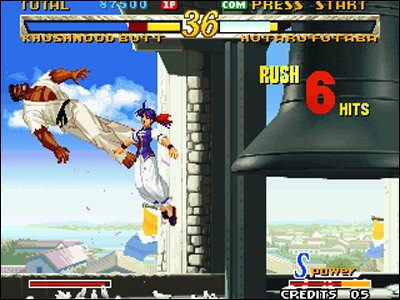 The CPS-III is fully used with stunning graphics and a gameplay pretty deep and interesting, with a system of 'parry' consisting in blocking at the last time by going in the reverse direction of a normal block: this manoeuver provides a short time during which you can place a counter-attack to your opponent. Capcom VS SNK war is not over!